On the day of her wedding, a bride's ex-lover is found shot dead. In January, Dorcas Whipple was on the cusp of marrying Ronald Drew. One month later, she prepares to walk down the aisle, but Ronald will not be the groom after all. Her family decided he is unsuitable, a fortune hunter, and though Dorcas fought them, in the end she could not resist the pleas of her invalid mother. 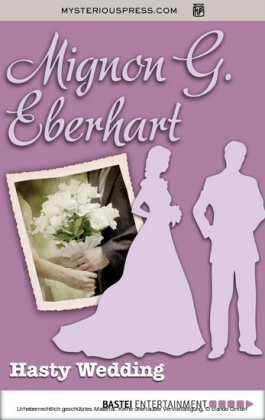 As she prepares to marry the steady, dependable Jevan Locke instead, she tries to put Ronald out of her mind. But when Ronald calls her the night before her wedding, she rushes to his side. Resisting her passion, Dorcas refuses Ronald's final plea for her hand. The next morning, when he is found shot dead, Dorcas is the only suspect. If her wedding goes ahead, will the bride wear white, or pinstripes? Review Quote. 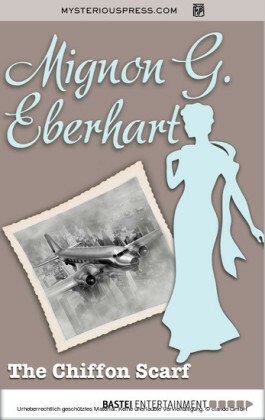 'The best of Mignon Eberhart.' - The New York Times 'Entertaining.' - The New Yorker 'One of the best mystifiers in America.' - Gertrude Stein Biographical note. 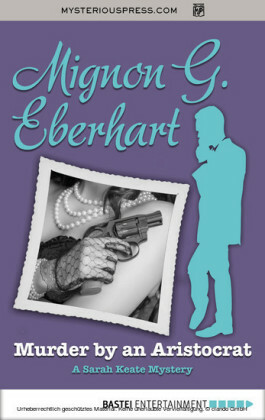 Mignon G. Eberhart (1899-1996) wrote dozens of mystery novels over a nearly six decade-long career. Born in Lincoln, Nebraska, she began writing in high school, trading English essays to her fellow students in exchange for math homework. She attended Nebraska Wesleyan University, and in the 1920s began writing fiction in her spare time, publishing her first novel, The Patient in Room 18, in 1929. With the follow-up, While The Patient Slept (1931), she won a 5,000 Scotland Yard Prize, and by the end of the 1930's was one of the most popular female mystery writers on the planet. 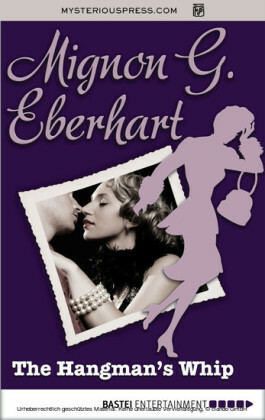 Before Agatha Christie ever published a Miss Marple novel, Eberhart was writing romantic crime fiction with female leads. Eight of her books, including While the Patient Slept and Hasty Wedding (1938) were adapted as films. 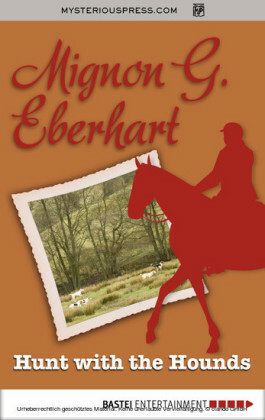 Made a Mystery Writers of America grandmaster in 1971, Eberhart continued publishing roughly a book a year until the 1980s. 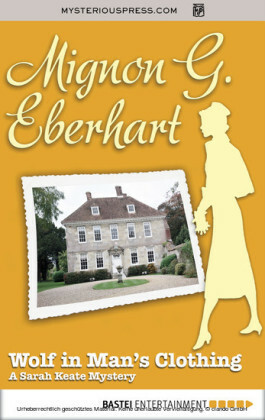 Her final novel Three Days for Emeralds, was published in 1988. HER OWN IMAGE ADVANCED and retreated in the distant pier glass. "Slower," said Sophie. "Stop...Now turn again." "This way, if you please, Miss Whipple," said the fitter. In January Dorcas Whipple, with her mother and Sophie in Miami Beach, was all but engaged to Ronald. 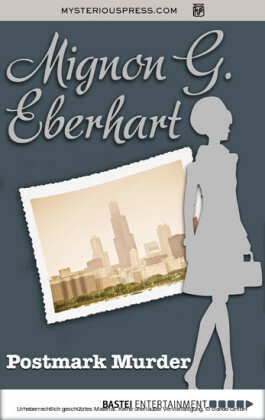 In February her mother roused to the state of affairs, came home to Chicago and rallied all her cohorts. On March eleventh Dorcas stood before the mirror and looked at herself in her wedding gown, mistily through the white veil, and the image it gave back to her was unreal and ethereal in quality-as Dorcas herself was not. It was the final and last fitting. The wedding was at noon the next day and the man she was marrying was not Ronald Drew. She hadn't been really desperately unhappy, she thought, listening absently to the fitter and Sophie, who were rapidly reaching a point of agreement. She had defended Ronald hotly all the way through the thing; had fought for him with increased zeal because they were all against him. Had given in finally because the proofs had to be admitted, because she could not fight against her mother's weapons, because after all, as was pointed out to her, she was twenty-four, she had known the man she was to marry all her life, it was an eminently suitable marriage and it was time she married and took over her rightful responsibilities. What Cary Whipple hadn't said was that she wanted her daughter to be married and settled before she died but it didn't need saying, for Cary's gentleness and semi-invalidism said it for her. Only once had she come near bringing her strongest weapon into use and that was when she looked at Dorcas with her soft blue eyes and said: "I'm stronger than I look, my dear. I wouldn't want you to hurry into marriage simply because it would be a satisfaction to me-it may be years yet." She had said no more. But it had actually, Dorcas supposed, decided the thing. But even after her engagement had been announced Dorcas had to admit in all honesty she was not really terribly unhappy. Not, at least, until-well, when had thoughts of Ronald begun to haunt her so constantly? Just lately? When the marriage was, all at once, so near and so completely inevitable? She looked at the slender white figure in the huge old pier glass and it seemed to look back at her enigmatically through the white veil. It was as if that distant reflection knew things Dorcas did not know-things about Dorcas Whipple, who was so soon to be Dorcas Locke. Had she been, she wondered, quite fair to Ronald? The fitter murmured to Sophie. "Turn again, will you, Dorcas?" said Sophie. "That back panel ..."
Dorcas pivoted. The mysterious image in the mirror vanished. Opposite her now were windows and a leaden sky and bare, wet brown trees. It was a dark, gusty day with a raw wind off the lake. All the way home from rehearsal at St Chrystofer's it had blown fine mist against the windows of the car and along the Drive you could see great, slate-gray waves breaking savagely in white foam against the breakwater. Dorcas had pulled her fur coat tighter about her throat and thought with incredulity of January; hot white sand, golden sun, blue sky and Ronald. They had danced such a lot, she had remembered suddenly, during those dark, tropical nights and Ronald danced as smoothly and gracefully as one of the professional adagio dancers they so often saw together at the casino.